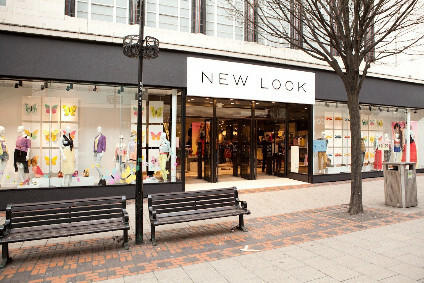 The e-tailer has revealed plans to adapt the responsibility of its three co-CEOs. It has also announced the addition of David Schröder as CFO and Jim Freeman as CTO to its management board. Rubin Ritter, co-CEO of German fashion e-tailer Zalando, has hailed a "strong finish" to a challenging year in a move he says gives the firm confidence that its long-term growth plans are well on track. The Berlin-based firm reported fourth-quarter revenues of EUR1.7bn (US$1.9bn), a 24.6% rise on the EUR1.3bn reported in the year-ago period. Net income, however, fell to EUR56.1m from EUR60.1m in the prior-year quarter. For the full year 2018, Europe's leading platform for fashion and lifestyle grew revenues by 20% to EUR 5.4bn. Net income, meanwhile, tumbled to EUR51.2m from EUR101.6m in 2017. 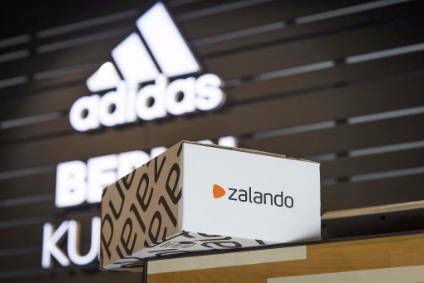 Zalando said growth was fueled by 26.4m active customers, up from 23.2m in 2017, placing 116.2m orders throughout the year, while traffic increased to 3.1bn. The fourth quarter marked particularly strong growth, with close to 1bn visits and 1.3m new active customers - the highest quarterly active customer increase in five years. "2018 had its challenges, but we focused our efforts in the fourth quarter to pull off a strong finish to the year," Ritter said. "Our performance in the fourth quarter gives us confidence that our long-term growth plans are well on track." Looking ahead, Zalando said it will focus on one clear goal: to become the starting point for fashion, reaching EUR20bn Gross Merchandise Volume (GMV) by 2023/2024. GMV describes the total amount that customers spend on the Zalando platform on merchandise from both wholesale and Partner Program. In 2018, Zalando grew GMV by 21.1% to EUR6.6bn. For the year ahead, the firm aims to grow GMV by 20-25%, with revenues at the low end of this range. The e-tailer expects to continue to grow profitably and achieve an adjusted EBIT of EUR175-225m. It added it will continue to invest in logistics and technology, and roll out its Zalando Plus membership programme to two new countries during 2019. Capital expenditure is expected to be about EUR300m. In addition, the e-tailer will continue to scale its Partner Program, allowing brands to sell directly to customers through the Zalando platform. In 2018 more than 250 partners integrated with the Zalando Partner Program, which accounted for about 10% of Zalando's GMV. Zalando aims to increase this share up to 40% by 2023/2024. Meanwhile, the company has revealed plans to adapt the responsibility of its three co-CEOs and announced the addition of David Schröder as CFO and Jim Freeman as CTO to its management board. Co-CEO David Schneider will continue to work closely with brand partners and lead Zalando's fashion offer, while fellow co-CEO Robert Gentz will take on marketing and sales, and continue to be responsible for human resources. Ritter will assume responsibility for strategy.